Camp Google for summer FUN! Oh. My. Word. 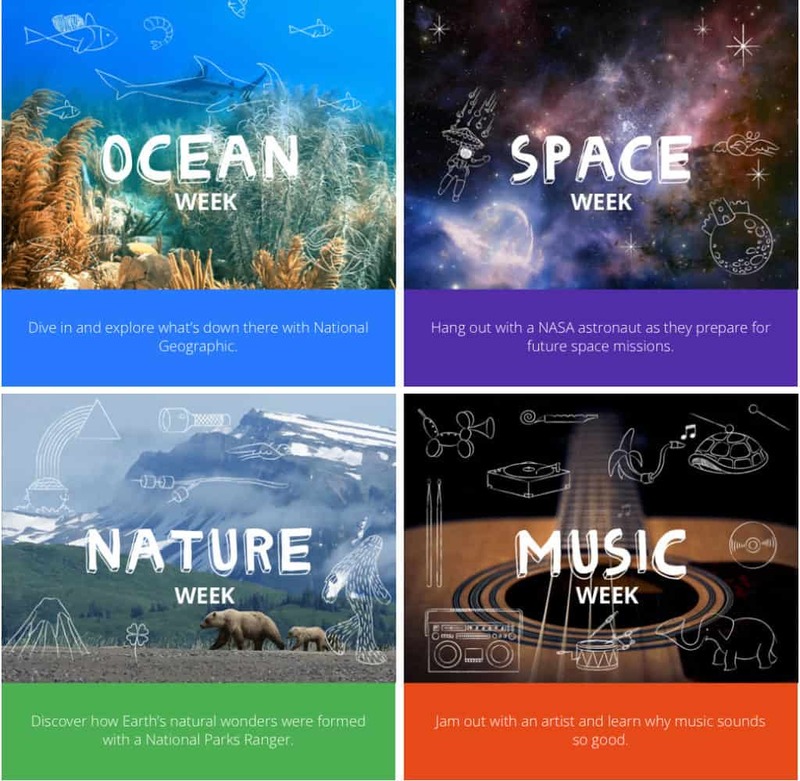 Google has brought together Khan Academy, National Geographic, National Parks, and NASA to launch Camp Google: a free, four-week online camp for kids 7-10, filled with fun science activities and exploration. Talk about an awesome collaboration! Wow. Every Monday camp kicks off with a live adventure that you can access right from the Camp Google site. The adventures begins July 13th with Ocean Week. Your kids will head deep into the depths of the Atlantic Ocean to explore. Later this summer, they can join a live hike up an active volcano with a Park Ranger and a jam session with a music star. Everyone is welcome and you can jump in anytime. ← We need your input.